The hard stop: Turn off your computer during a storm. 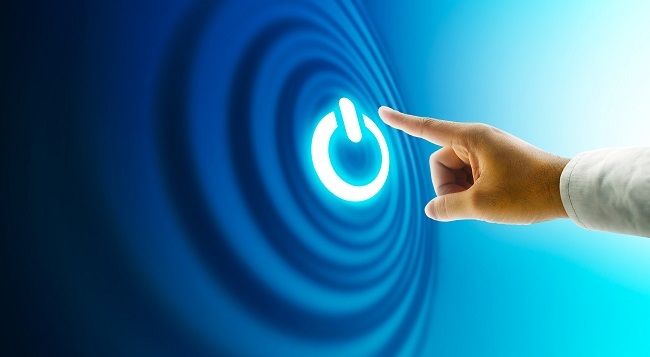 If you know a bad storm is on the way and you don’t have time to buy any protective tools, the best thing you can do is turn off your computer and unplug it completely. While it’s not a fun option, this means lightning can’t reach your computer through your house’s wiring. It also gives you plenty of time to exit out of programs and save files so you aren’t caught unprepared. Give yourself a small window with a surge protector and a UPS. If you don’t want to fully unplug your computer, then the most important thing you need to do is to protect it from surges. A surge protector won’t give your computer ongoing power during a blackout, but it will stop a surge from destroying the device. Find a legitimate one that was certified from UL (Underwriter Laboratories) with good reviews. But a surge protector just stops the worst from happening. Combine it with a UPS, or an uninterruptible power source, to stop the follow-up disaster of losing all of your work. Everyone hopes a storm won’t reach them, and it’s tempting to keep working on your current project through a storm. A UPS gives you a few extra minutes when the power goes out to save your progress. It also means you can save them, transfer them to a flash drive, and keep working on a battery-powered tablet. Go to PC Geeks here for more ways to protect your desktop and other electronics, no matter what’s going on around them. If your computer shows nothing but a black screen when you turn it on, or it doesn’t turn on at all, don’t panic. Check the power cables connected to both your computer and your monitor, and make sure they are plugged in and snug, both at the wall socket and at the devices themselves. Being just a tad loose can be enough to prevent them from powering on. Once you’re sure the power cables are fine, check the video cable that connects the computer to the monitor. Your display may be black simply because it’s disconnected, so make sure that connection is solid. Keyboard and mouse problems can be similar to the problems that cause power or black screen problems: loose cables. Be sure the keyboard and mouse are plugged into their ports properly. If they are and your keyboard or mouse still aren’t working, try unplugging them and plugging them back in again. This may cause the computer to detect them and start working again. If you have a wireless keyboard or mouse, be sure to check the batteries as well. They might not be charged. Computer repair isn’t always complicated or serious, but some computer problems can seem insurmountable. If your issues need an expert’s touch, please contact us to schedule a repair consultation today. We all reach that moment with our computer when we realize that it’s getting older. All of the things that were once effortless seem like it’s taking the poor machine a bit longer. How is this possible, it was only purchased three years ago. As much as we don’t like it, computers do go out of date eventually. Technology continues moving forward and the need for more processing power or memory grows. Thankfully for all of us, it is easy enough to find the parts needed to give our old machines back some of their pets. Before you run out and get any hardware upgrades though, there is one important question that needs to be answered. Can my computer handle it? A computer can only handle so much processing power and it’s all dependent on one component, the motherboard. You must look up your motherboard before you get a new processor or any RAM. If you can’t remember what your motherboard is, don’t worry, there are two simple ways to find out. The first way is to go open up the command line and type in this command: which baseboard gets the product, Manufacturer, version, serial number. You will need the manufacturer and product information. The second way to find this is to install a program named CPUID CPU-Z. When the program is up, all you need to do is click on the tab that says ‘Mainboard.’ The manufacturer and model are the first two variables displayed. Now that you’ve got your motherboard information, it’s time to go to google. There is one piece of documentation that you need, the specifications. The official website for the manufacturer of the motherboard should have this documentation. The specifications should reveal two important things. First, the processor that is currently installed and, hopefully, the highest processor that the motherboard can handle. Second, it will show the type of RAM installed and exactly how much RAM the motherboard can handle. If the specifications do not show the highest processor that the motherboard can handle, it is extremely important that further research gets completed. Getting a processor only to find out that it does not work is a frustrating experience. With this information in hand, finding replacement parts is a breeze. Once the upgrades are in hand, it is also important to look up instructions on replacing the parts if you have never done it before. RAM is very simple to install, but the process requires a bit more care. If you do not feel confident replacing the part yourself, it is easy to find someone with experience to help you out. Before you know it, your machine will be running almost like new. Contact us today to learn more! Windows updates are designed to bring your computer up-to-date and help it run more smoothly. Unfortunately, these updates may refuse to install and put your computer at risk. Why does this happen? This is probably the most common problem that causes issues with installing Windows updates. It might seem silly, but a lack of hard drive room will make it impossible for your updates to install. Try to have at least one GB or more open at all times on your computer. Failure to do so will likely cause the computer to run poorly or make it impossible to install updates. Updates to Windows may end up conflicting with your hardware drivers and cause some problems. Your automatic updater will note this clash and elect not to install the updates. Installing them in a situation like this could cause the computer to become unstable. As a result, your Windows updates may remain stubbornly installed until you get updated hardware. 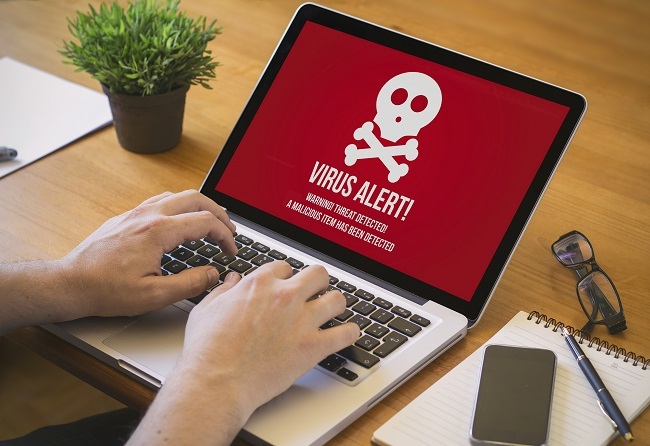 Some viruses are designed to attack Windows updater and infect it through your internet connection. 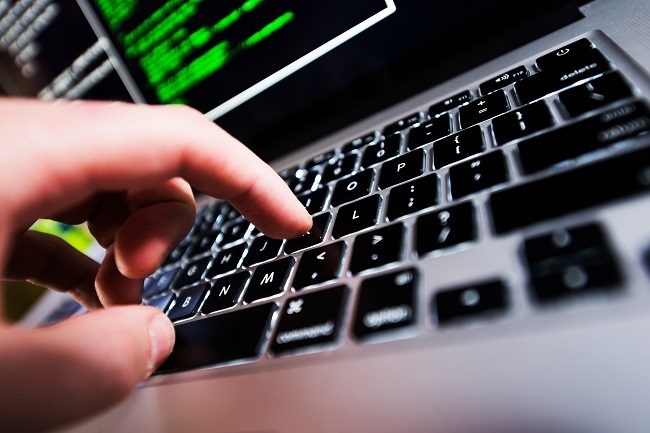 The updater will detect these hacking attempts and disconnect in order to protect itself from getting infected. 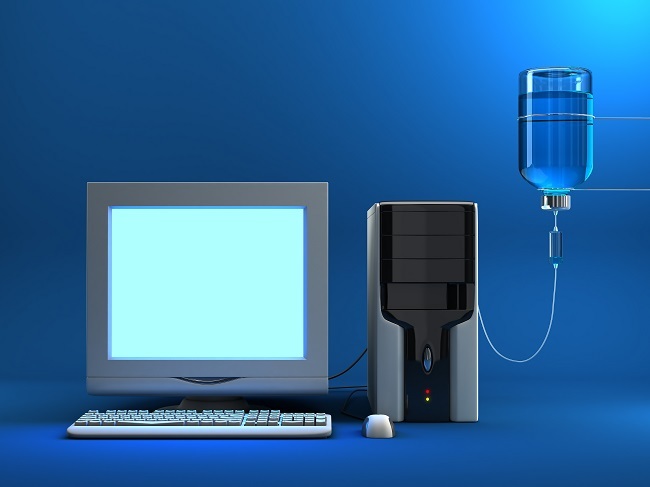 When infection of these updating systems does occur, it can put them out of commission until you get the viruses cleaned off your hard drive. If you’ve done everything you can to solve these problems and your updates still won’t run, please contact us. We can help find a solution to your update problems and get your computer back up to speed. If you properly care for your computer, it will last for many years, but sometimes your computer requires more than repairs, it needs to be replaced. Here are seven indications you are in need of computer repair or replacement. If you have owned a computer for at least one year, you know that updates come and go. Computer updates are important because they keep your computer protected from viruses and enhances your user experience. If your computer has issues downloading the latest operating system upgrade, apps, or other software, this is an indication that your PC may need to be replaced. This issue could be caused by virus intrusion, malware, spyware, and similar instances. In this situation, a system restore may help you keep your computer functioning long enough to use until you purchase a new one. If you use your computer for school and work purposes, there is a good chance you use it more than once on a daily basis. 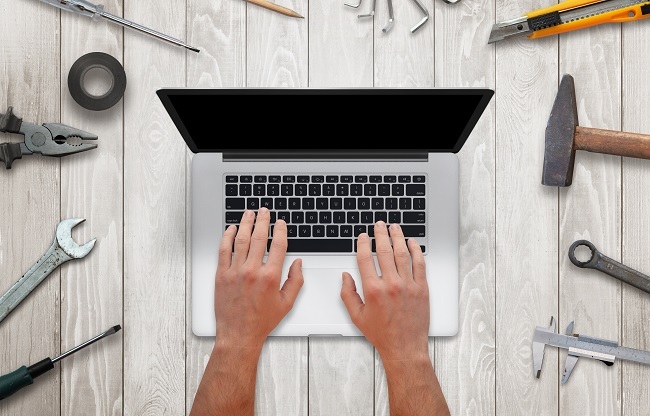 Constant use of a computer causes wear and tear, and will eventually mean replacing your computer. A business without a computer could mean lost revenue. For school, it could mean getting behind on important assignments and projects. Malware, spyware, adware, and viruses all cause a computer to run slower than normal. A few fixes include cleaning the hard drive and reinstalling the operating system. Depending on how old your computer is, you may not be able to download new programs. Age is a definite determining factor of replacing your current computer. Weird sounds and strange noises could be an indication that your hard drive is failing. Your computer may frequently make noises and sounds due to the fan, the CD/DVD drive, or the hard drive itself, but if you notice sounds and noises you’ve never heard before, it could mean a new computer purchase is in the near future. Receiving numerous error messages is a sign that your computer could be on its way to technology afterlife. Accompanying these error messages may be computer freezing and the blue screen of death. A lot of factors could cause these error messages, including corrupt files, viruses, and missing files. If you have an old computer, one that has Windows ME, 95, or 98, you may want to consider purchasing a newer computer. A lot of people still own computers with these operating systems, and they work well enough to check and send emails and browse the Internet, but downloading new applications and programs are out of the question. Many people consider upgrading their computer system instead of purchasing a new one to save money. 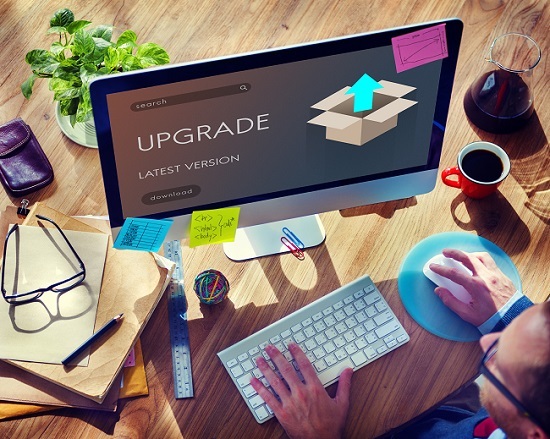 Upgrading is a great option if it does not cost more money to upgrade rather than buy a new computer. It would be better to invest in a new, up-to-date computer system than invest in a computer that has limited capabilities. These seven signs will help you determine if your computer needs to be repaired or replaced. Even though your computer may hold sentimental value, you may have to part ways, purchase a new computer, and use your old computer for simpler tasks. Contact us today and let us help with all your computer needs. Nothing instills more fear in a computer user than seeing a bright blue computer screen displaying technical gibberish that begins with the ominous sentence, “A problem has been detected and windows have been shut down to prevent damage to your computer.” This Bluescreen Error is commonly called the “Blue Screen of Death”, or “BSoD” for short. When Windows comes across a problem with the computer’s hardware or the hardware driver software that it cannot recover from, the operating system will stop working. The computer will shut down and when it reboots it will display a STOP Error Screen. If you can, take a photo of the screen using a camera because you can’t grab a screen capture when the computer is in this state. Doing an internet search for the STOP Code can give you a clue as to what caused the crash. Failing hardware – Computers have many components that can fail such as the power supply and the hard drive. Sometimes there is a hint that a something is not running correctly and should be checked. For instance, a wobbly display may be a sign that you need a new monitor or that the motherboard is about to fail. At other times the hardware fails with no warning other than a blue screen error. New hardware – If you recently installed new hardware on your computer and you get a blue screen error, it may not have been properly installed or it might not be compatible with your computer. There is also the possibility that the new hardware is defective. Driver issues – Drivers are pieces of computer code that allow the hardware to communicate with the operating system. If the drivers are not up to date or are not compatible, you may get a blue screen error. This is especially likely if you are having problems after recently installing new hardware. 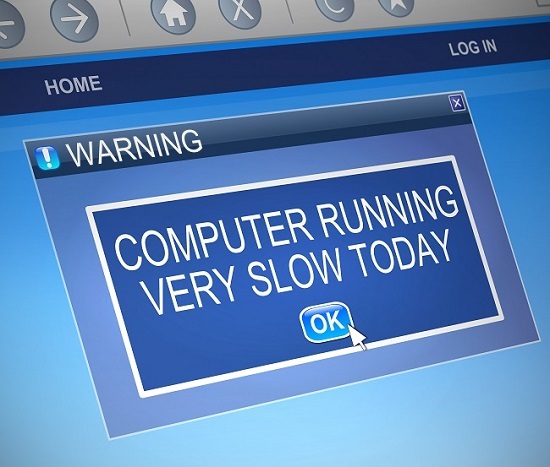 Overheating – If your computer is running too hot it may suddenly shut down to prevent damage to its components. Your computer’s running parts generate heat so to keep it running cool your computer should be in a well-ventilated area that is not next to a heat source. Other possibilities are that the fan that keeps the inside of your computer cool may have stopped working or it might be clogged with dust or pet hair. Malware infections – Malware is malicious software that can embed itself into the computer’s operating system that might cause your computer to crash. 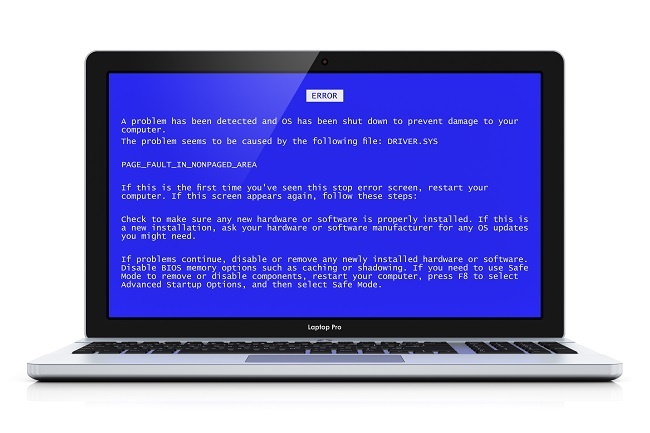 Malware can also mimic a real blue screen error in order to scam you. The screen will urge you to call a technical support hotline or direct you to a website for more information, both of which are not part of a real blue screen error. Do not call the phone number or visit the website! If you are having problems with a blue screen error, please contact us so we can help get your computer running again. Is your computer struggling to keep with a new operating system upgrade or a new program? Are you spending more time waiting for your computer to load than you are actually using it? Does your computer often give out-of-memory errors? If so, it may be time to breathe new life into your computer with a simple processor memory upgrade. If your computer is relatively new — five years old or less — upgrading the processor or the memory can be an easy, inexpensive way to get many more years productive use whether the expense or aggravation of migrating to a new computer. While both upgrades will give you the most bang for your buck, many people may find that just one or the other is sufficient for their needs and their budget. The only question, however, is determining which is best for your particular computing needs. Memory upgrades: Easily the most cost-effective and easiest upgrade that you can perform. Memory upgrades are as simple as replacing your old memory with faster, higher capacity RAM sticks. When replacing memory, keep in mind that memory is best replaced in pairs – meaning that if your computer currently has four gigabytes (4gb) of RAM in a single memory ‘stick’, your preferred upgrade would be two new four megabyte sticks or 8gb total. You would not want to simply add a second memory stick. This is due to the fact that to be most efficient, memory should be matched, meaning it should be the same brand, same specifications, and, preferably, from the same product lot. Buying a pair (or more) of memory sticks as a package guarantees that the memory is properly matched. For most users, 8 GB is sufficient; high demand users or user who use memory-intensive applications may want to consider an upgrade to 16 GB of RAM. Also, while most modern desktop computers will accommodate up to 32 GB of RAM, most operating systems – and applications – cannot make sufficient use of more than 16 GB, meaning that for most users a 32 GB upgrade is largely unnecessary. Processor upgrades: Not for the faint-of-heart, a processor upgrade is a delicate process that should only be attempted by an experienced end-user or a professional computer technician. While Windows or your preferred operating system may be the soul of your machine, the processor is the beating heart of your computer. Replacing your processor with a more modern, faster processor can make a tremendous difference in the speed at which your computer runs. A processor upgrade is a more expensive, more complicated upgrade than a memory upgrade, but will in most cases also yield a corresponding improvement in performance versus a simple memory upgrade. The exact processor upgrades that are compatible with your particular computer will vary by computer manufacturer and the type of motherboard installed in the computer. You should be able to determine which is right for you by checking the manufacturer’s website or by discussing your processor upgrades with an experienced computer technician. Contact us for more information on how to choose the right upgrade for your computer. Our experienced technicians have the experience and the knowledge to help you make the right decisions to keep your computer running at peak performance for years to come. A laptop is a major investment. As the need for responsive touchscreen devices grows, cracked screens are becoming extremely common. Blown pixels can be a nuisance when you don’t have the time or patience to fix the screen yourself. Consulting a team of reliable computer repair technicians to repair a damaged laptop display is the easiest step you can take. Every laptop requires a different screen replacement. After all, you chose the laptop that suits your needs as an individual. The last thing you need is a new LCD in the mail that doesn’t match the damaged one you own. You also need the right tools to unscrew the screen, and you might not be that tech savvy. Whether you have wedding invitations to mail out by a certain date or a demanding project on the horizon, you will need fast assistance as soon as possible. Your laptop provides convenience and security for sensitive information. A cracked or damaged screen obstructs the enjoyment and usability of a laptop. Technicians offer support and understand emergency situations for everyone. The hassle of buying a new screen, waiting for the delivery, and assembling the machinery on your own isn’t that cost-effective. You can learn new skills with a trusted technician by your side. Instead of buying a new laptop that you’ll end up setting up again, enhance the life of the laptop you have now. Computer repair services guarantee peace of mind and in-depth diagnosis of your computer’s problems. Contact us for tips on how to improve your laptop, for rates, and other services we have! Virus Removal- Can Ransomware Be Removed? What is Ransomware? Ransomware is a virus that blocks you from using your computer unless you pay a ransom, usually of one or two bitcoins, or around $300-500. 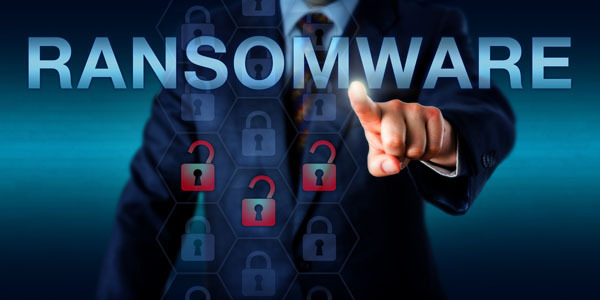 In a recent report by the Australian government, 72 percent of businesses have been affected by Ransomware in 2015, up from 13 percent just two years ago. There are several types of Ransomware. Some pop up as a fake antivirus or clean-up system, claiming that your device is affected by a virus and you must pay for it to be removed. Others block your computer and show a bogus FBI warning, saying that illegal child images have been found on your computer and that you must pay them a fine. Yet others enter your computer through a phishing email or fake app and slowly encrypt all your data, keeping the encryption key until you pay a ransom. Can Ransomware be removed? In some cases, yes. It really depends on the type of Ransomware. If all your data is encrypted and only the hackers have the key, it will be hard if not impossible to retrieve the data without paying the ransom. Paying the ransom can bring continued troubles, however, as you are opening yourself up to being attacked again. In order to avoid having to do that, always back up your files frequently, so that you have a way to retrieve them, and always fortify your computer with antivirus protection. If your device was attacked by any kind of virus, and you need expert virus removal, make sure to contact us.